Cryptocurrency is considered by many to be the future of financial trading. Rapidly expanding in popularity, many are seeking to obtain Bitcoin, Ethereum and other forms of digital currency. For those keen to start trading in digital currency the entry point is a fiat cryptocurrency exchange broker. These sites provide aspiring clients with the opportunity to exchange real currency for the digital kind, usually in the form of Bitcoin, Ethereum, and Litecoin. Having purchased the popular forms of digital currency, users are then able to access a pure cryptocurrency exchange and make acquisitions of less popular digital currencies if this is their intention. The major concern for aspiring digital currency traders is ensuring that the exchange they register with to purchase their desired form of cryptocurrency is reliable and trustworthy. To help make this decision easier, we will now detail our choices for the best cryptocurrency exchanges to join, starting with our choice of the very best. Hearty congratulations to Coinbase, our choice for the best site to buy cryptocurrency. Available to clients in more than 30 countries around the world, Coinbase is the world’s largest cryptocurrency broker. They service users in the United States, United Kingdom, Canada, Australia, and 28 European countries including Spain, Greece, Italy, and Cyprus. Possessing an easy-to-use interface, Coinbase is the perfect broker for those looking to purchase cryptocurrency for the first time. Coinbase is what is known as a fiat exchange brokerage firm. Fiat exchange firms allow you to buy cryptocurrency with traditional forms of money (e.g. dollars, Euro, Pound). To trade cryptocurrency without traditional forms of payment, a user will need to use a pure cryptocurrency exchange. And, since most types of cryptocurrency must be purchased using Bitcoin or Ethereum, Coinbase is considered the first entry-point for those looking to buy the lesser known cryptocurrencies as they only provide Bitcoin, Ethereum or Litecoin for sale. They allow their customers to purchase cryptocurrency via credit card or bank transfer with purchase fees set at 3.99% and 1.49% respectively. As recently as October 2017, the USA had the highest number of cryptocurrency users of any nation in the world. As such, we feel it is important to identify to readers in this region which are the best cryptocurrency sites to purchase from. First, as mentioned above, we feel Coinbase is the best site and this is our number 1 recommendation. However, there are a few more that are great, and we will provide a list of the other best cryptocurrency exchange sites for the benefit of those unhappy with Coinbase as their choice of broker. Based in Israel, Coinmama is a fiat exchange broker that services USA clients and many others around the world. One of the original Bitcoin brokers in the industry, they charge a 6% fee on all cryptocurrency purchases made using credit & debit cards. Charges a higher fee than many of their competitors for credit & debit purchase. Established in the United Kingdom during 2013 by Oleksandr Lutskevych and Oleksandr Ushchapovskiy, CEX.io is one of the largest sellers of Bitcoin in the industry. Possessing a user-base in excess of 250,000, CEX offers beginner USA traders a user-friendly experience and supports deposits made via credit card. They offer seven cryptocurrencies for purchase which is considerably more than Coinbase. A sister company of Coinbase, Global Digital Asset Exchange (GDAX) was created by Coinbase founders for the purpose of listing Ethereum for trading. Formed in 2016, GDAX was also created to provide experienced traders with a dedicated platform to use. Because GDAX is a sister company of Coinbase, users of the latter can easily move their account across to GDAX. Cryptopia is a pure cryptocurrency exchange based in New Zealand that is relatively small compared to the other brokers mentioned above. However, the major advantage of this exchange is that they sell the less well-known coins that are much harder to come across on the other sites listed. As a pure exchange cryptocurrency broker, you will need to already possess one of the better-known forms of cryptocurrency to purchase the other coins offered here. With headquarters in the United Kingdom, Singapore, and South Africa, Luno is one of the best cryptocurrency sites for European based users. Possessing a built-in digital wallet for convenience, users of this exchange can buy and sell Bitcoin or Ethereum with a range of fiat currencies including EUR, IDR, and ZAR. Deposit methods include Debit/Credit, bank transfer, cash deposit, SEPA transfer and PayU. High transaction fees for certain types of deposit. Austrian based BitPanda is a European exchange platform which is considered one of the best cryptocurrency sites. BitPanda provides users with the ability to buy and sell six popular digital currencies. The company allows multiple payment options, possesses an easy-to-navigate registration process and allows the sale and purchase of cryptocurrencies 24-7. Also available to USA residents until recently, Bitfinex is considered one of the best cryptocurrency exchange sites in the world. A multi-purpose exchange, Bitfinex provides users with access to an astounding 39 forms of cryptocurrency. Complete with advanced trading capabilities, Bitfinex is one of the biggest and most innovative cryptocurrency exchanges available to users based outside the United States. Do you already possess cryptocurrency? If you don’t then you’ll need to limit your choice of exchange broker to fiat exchange broker firms. A fiat exchange broker is the only cryptocurrency firm that sells coins in exchange for money. You’ll need to select from the best cryptocurrency exchange sites that offer fiat exchange in order to get started. Do you want to buy lesser known cryptocurrencies? If this is the case, then first you’ll need to possess Bitcoin or Ethereum. Once you acquire these you are free to buy lesser known cryptocurrencies through a broker on a pure cryptocurrency exchange. Are you a beginner or experienced cryptocurrency user? Your level of experience in cryptocurrency should dictate what broker exchange you end up using. For beginners, Coinbase is ideal. Yet others, like GDAX are suited to the more experienced user. Where are you located? Some exchange brokers are not available in certain regions. This needs to be a consideration. For example, if you are based in the USA and BitPanda has been recommended to you, you’ll need to recognize that this brokerage does not service USA residents. Is the exchange broker safe? The popularity of cryptocurrency has led to many scams being initiated targeting other users. This has meant that it is vital for potential users to investigate the safety and reliability of any broker that they are considering registering with. Choose a cryptocurrency wallet – this is a digital wallet that is used to store, send and receive digital currency. Choose from one of the best cryptocurrency trading sites – Simply sign up and you can buy and sell your cryptocurrency against another type of digital currency. However, those who are interested in trading on the price of cryptocurrency don’t necessarily need to have it in their possession. The best forex brokers in the world offer the opportunity to those interested in cryptocurrency and foreign exchange to trade on the price of popular cryptocurrencies against a popular type of currency. As this is a forex focused website, we will now investigate this further to identify which are the best cryptocurrency trading sites for those with an interest in trading cryptocurrency as a CFD. Please note, however, that US residents are not allowed to trade cryptocurrency as a CFD due to regulatory restrictions placed on forex companies by the financial regulator in this region, the SEC. 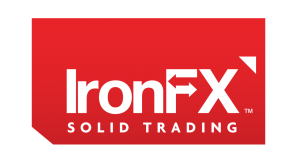 The London Capital Group specializes in CFD trading. Launched in 2005, they have won numerous awards for their outstanding service and their high quality mobile trading app. 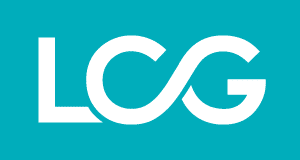 Regulated by both the FCA and CySEC, the London Capital Group is a highly respected and well-regulated company for forex users. While the company only offers Bitcoin for CFD trading, the reason that London Capital Group is one of our choices of top cryptocurrency trading sites is because they offer three fiat currencies for trade to their clientele. Whereas most forex brokers will only allow clientele to trade digital currency against the USD, London Capital Group expands the options to their clients to include trading against the Euro and Pound. Bitcoin – You can trade Bitcoin against the USD, EUR, and JPY. Bitcoin Mini – You can trade Bitcoin mini against the USD. Ethereum – You can trade Ethereum against the USD and EUR. Ripple – You can trade Ripple against the USD. Litecoin – You can trade Litecoin against the USD. 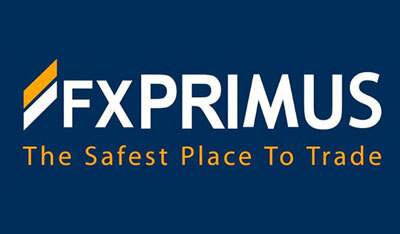 Founded in 2011, FXTM is regarded as one of the best forex brokers in the industry. With main offices in Cyprus, and many other offices around the world, FXTM continues to grow rapidly in popularity and currently has clients in over 180 countries from around the world. 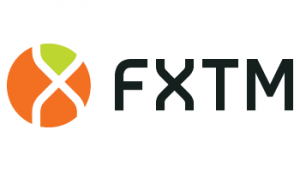 FXTM allows its clients to fund their accounts using Bitcoin and Bitcoin via Skrill. 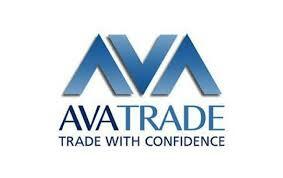 Established in Ireland during 2006, AvaTrade offers forex trading services to over 200,000 clients worldwide. With head offices in Dublin, and other offices located in Australia, Japan, France, Italy and many other locations, AvaTrade is one of the largest forex brokers in the world. AvaTrade provides its clients with the ability to use fiat currency to purchase cryptocurrencies and then sell and trade the digital currency against other digital currencies and alt coins. Founded in 2006, eToro has rapidly expanded since foundation and is currently regarded as a world leader in forex trading. eToro currently services more than 5 million users from over 170 countries worldwide. 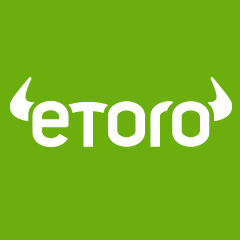 eToro allows clients to buy and sell cryptocurrency having initially deposited fiat currency into their account. When it comes to cryptocurrency trading it is essential to first obtain digital currency via a fiat exchange brokerage and, in our opinion, the best site to buy cryptocurrency is Coinbase. As the most popular cryptocurrency exchange to date, we are sure that many others share our opinion of the Coinbase. Having purchased your digital currency, the choices are three-fold; buy, sell or trade. This can be done using any of the currency exchanges mentioned above with the pure cryptocurrency exchange sites like Cryptopia essential if looking to purchase the more obscure digital currencies on the market. In terms of forex trading, cryptocurrency as a CFD derivative is growing in popularity and for those simply looking for the best sites to trade cryptocurrency as a CFD then you can’t go wrong with eToro, AvaTrade, FXPrimus, Plus500, London Capital Group and IronFX. Happy Trading!